So for the first of our new daily blog postings i'm coming on over to show you a recently released product and some of the ways the girls have used it! It is available both as a full kit and as a paper pack. Here is how some of the girls used the kit! 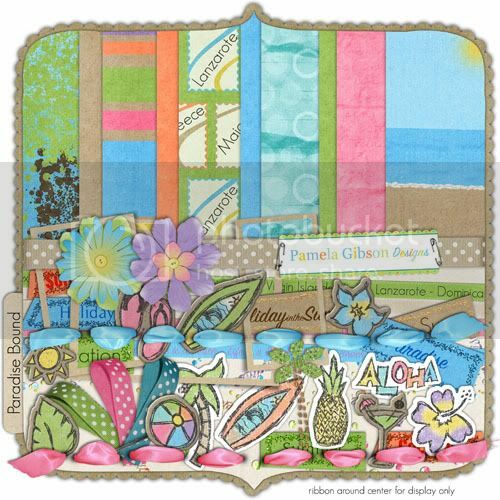 This is by Ningwulan and uses the Paradise Bound Kit and the Scalloped Date Stamps. This is by Muriel and uses the paradise Bound kit and the Sparkly Sandals from the Potato Bar (which are no longer available) and glue blobs by Flergs, note paper by LDesjardin from Grateful 4U kit. Tune in tomorrow for Too Fabulous Tuesdays where we'll be here sharing some of our favourite customer and ct layouts! available at the Polka Dot Potato. show off to your friends and colleagues alike. I have made another freebie QP for you all! This one is made with the new kit Paradise Bound by Pamela Gibson. You can find the kit in the shop at Polka Dot Potato! I just love this kit. I really like all the tropical elements and it makes me want to go on vacation right now! To get this QP just click here! Now the summer vacation is over and the children are back to school again, it's a perfect time to start scrapping again! So I thought this quickpage would be great to start with! It's made with the new kit of Pamela Gibson, called Back2School. You can download this freebie quickpage here! Have you seen it in the Polka Dot Potato store?! The Oh So Soft kit is available for only $ 0.99 and also many other products are available for that price! 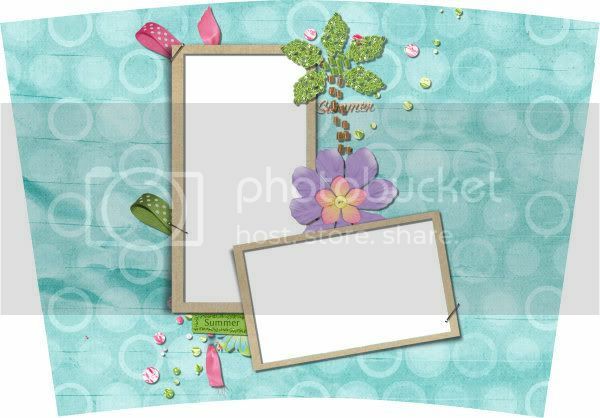 Here's a little freebie for you, a quickpage made with the Oh So Soft kit.